Housing shortages are a reality in many parts of the world, but nowhere more so than Hong Kong, where the average one-bedroom apartment downtown rents for $2,100 and many people are forced into cheap black market apartments called coffin cubicles. 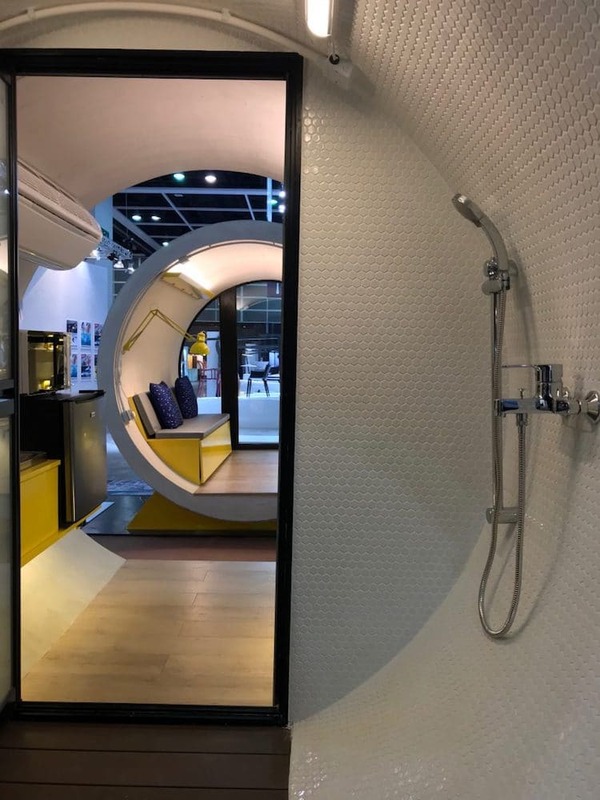 But James Law Cybertecture, a Hong Kong-based studio, is looking to change that through the development of affordable micro-housing. 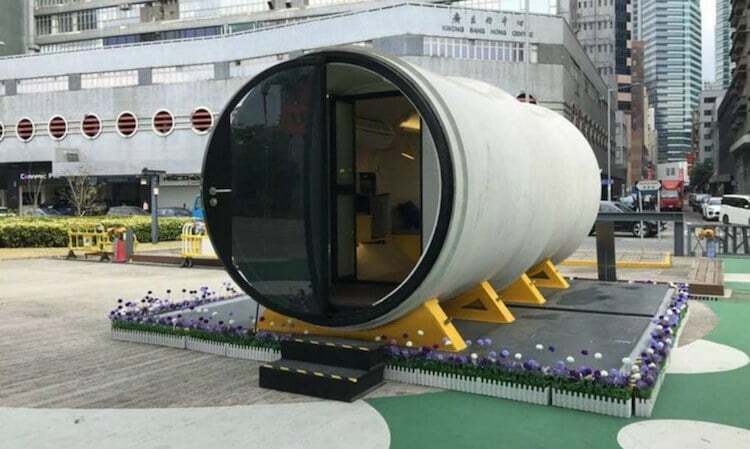 The firm recently built a prototype of the OPod Tube House, a concrete water pipe transformed into modular housing. Measuring a little over 8 feet wide, each 1,000-square-foot space is designed to house one or two people. 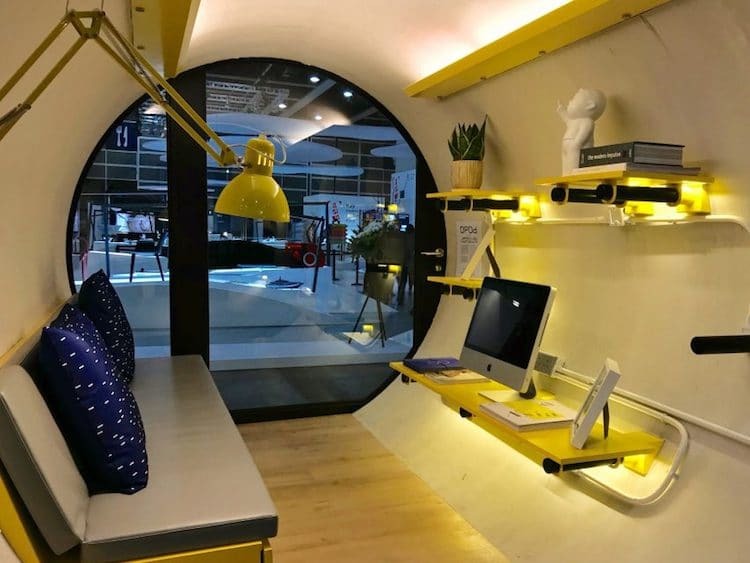 The Opod Tube Houses come with the standard features of any apartment, including a foldable bench that doubles as a bed, space for a microwave and mini-fridge, and a bathroom area at the rear. 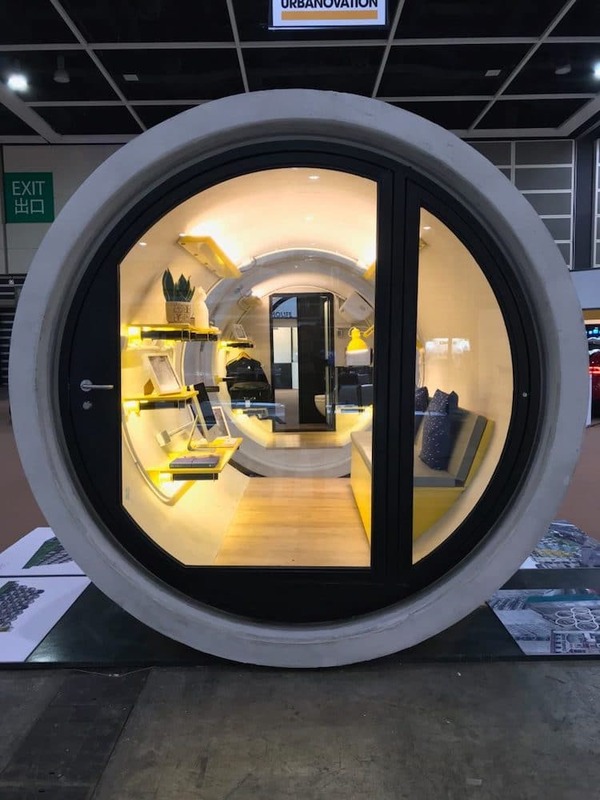 The large circular door—which can be opened and closed with a smartphone—also doubles as a window to let in natural light and the whitewashed interior gives a surprisingly spacious feel to the small space. Studio founder James Law tells Dezeen that the micro-apartment would appeal to “young people who can't afford private housing” and who are looking for a temporary living situation for a year or two. 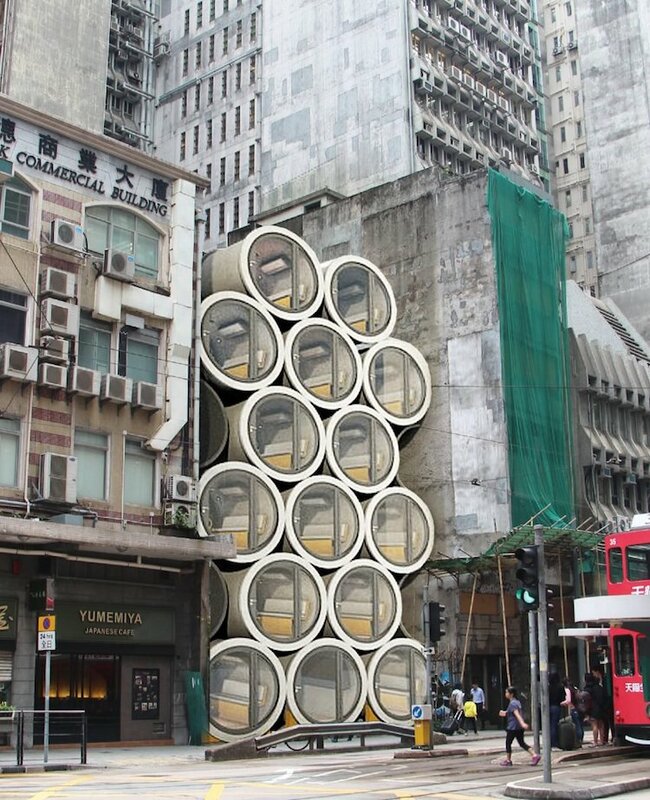 One of the most interesting features of the OPod Tube House is that due to its size, it can fit almost anywhere, something critical in a high-density city like Hong Kong. 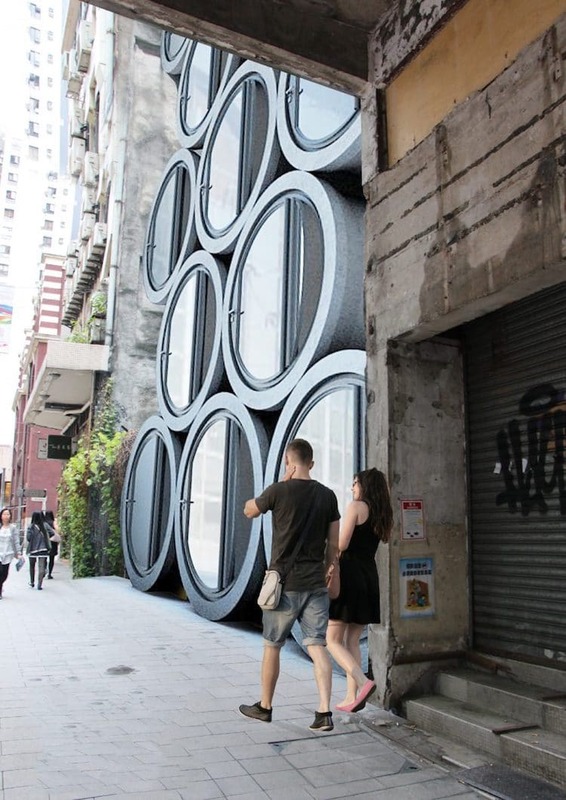 The compact structure can slot into the spaces between buildings or be stacked in vacant lots. Their ease of portability also means that they can be transported to different areas, as needed. And, because they weigh 22 tons, installation costs are kept low due to the absence of brackets or bolts needed to secure them. 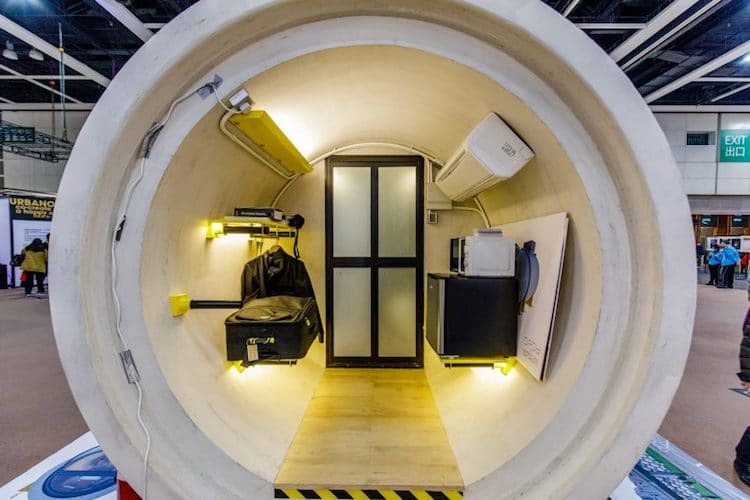 The firm claims that the OPod Tube House can be built for a little over $15,000 and rented out for about $400 a month, providing relief for renters in Hong Kong and other cities around the world. 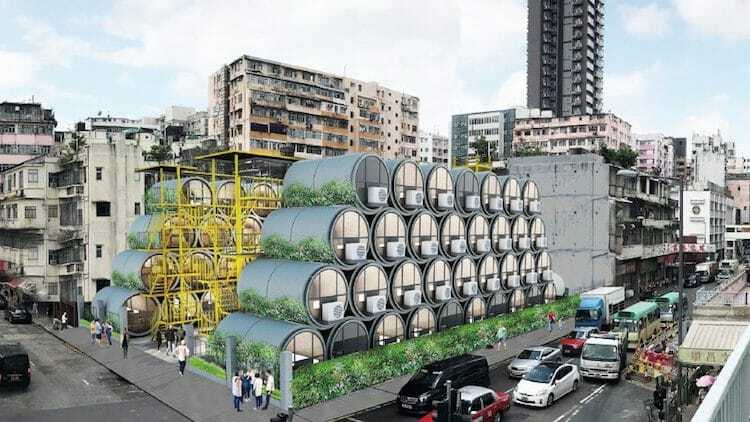 Made from repurposed concrete water pipes, the OPod Tube House micro-apartments are an innovative solution to Hong Kong's housing shortage.